In reality, education reform is about economics. If done properly, it will attract/retain businesses, provide jobs, generate tax revenues, increase property values, reduce crime rates, and reduce the single largest item in the state’s budget. This was the direction taken in 1995 by Gov. Carper, State Superintendent Mike Ferguson, and a business consortium (DuPont, Bell Atlantic, Delmarva Power, Hercules, Zeneca, and Christiana Care) when they advocated for change in Delaware’s public education system. To be clear, we must first distinguish between teaching and education. Teaching is a profession consisting mainly of teachers with special knowledge and training who exercise personal judgment in carrying out their responsibilities with students in the individual school buildings. The broader concept of education, however, is a business. The 1995 concept of Delaware education reform was implemented in a pilot program at a school that proved to be very successful. In a study conducted by Dr. Gary Miron of the Evaluation Center at Western Michigan University at the request of the Delaware Department of Education and the State Board of Education, he observed that students at the new school were, “…outperforming their counterparts at similarly matched traditional public schools…” The school achieved national recognition and generated a substantial operating surplus. The essence of this bold plan was to shift operational decision-making authority from a school board and district into the individual school building. Control was now local and exercised by a principal working with teachers, answerable to parents with oversight and support provided by a board. Andreas Schleicher, a member of Rodel’s International Advisory Group, presented data at a Rodel Foundation Education Event to show that, when a school is given that type of autonomy, student performance is improved. The significant reduction of district and board responsibilities should lead to a reduction of the number of school districts from 19 to 5 (1 in Sussex, 1 in Kent, 2 in New Castle, and 1 VoTech District.) New York City and Los Angeles each have only one school district. Governor Carney’s first executive order creates a working group to consider a public-private partnership between Delaware’s Economic Development Office and the business community. Perhaps an education component should be added to the mix to reflect the previous business/education initiative. Recently the governor created a board to study government efficiency. Since education makes up about one-third of the state’s budget, if you have read this far in the article, you know this author’s position on education efficiency. A reduced deficit, an improved economy, and higher student performance, now that’s a bold solution everyone can support. Ronald R. Russo is a Senior Fellow at the Caesar Rodney Institute, and the Founding President of the Charter School of Wilmington. Delaware and Maryland utility commissions have one more shot to convince electric grid regulators to lower the cost of the Artificial Island Transmission Line. Governors Markell and Hogan have joined forces to fight the burdensome cost of this project, but a new approach is needed. If we want to win this fight we need to negotiate using an alternative approach. More local power generation could replace the transmission line. This could lead to lower electric rates instead of higher rates, to a more robust economy, and to improved electric reliability. The Artificial Island project is a technical response to importation of power. Maryland and Delaware are the second and fifth highest electricity importing states in the country. In 2015 Maryland imported 41% of its power, and Delaware imported 32%. Importing power lowers electric grid reliability. It also adds cost. Regional grid manager, PJM Interconnection, is responsible for maintaining reliability with a combination of pricing mechanisms, and transmission line policy. There are line charges to compensate for longer power transmission distances, congestion charges to encourage lower peak demand, and capacity charges to encourage more local generation. See the graph below to see how these premiums can go. These premium charges roughly equal the added monthly costs of the proposed transmission line, are already added to our electric bills, and most of the cost will continue even if the new transmission line is built! So, how do we boost local generation? Start by asking electric generation and distribution companies already invested in the state what state policies would encourage more generation. State policies led to lower local generation in very real ways and changed policies can help reverse the trend. Prepare to kill some sacred cows when we hear the answers. Maryland and Delaware are the only two states in the thirteen state PJM region with a tax on carbon dioxide emissions from power plants. The cost of that tax is passed on as a hidden tax on electric bills. Our generating facilities burning coal and natural gas have to charge more, and lose bids to supply power. Consequently, local power plants operate less frequently. For example, the Indian River power plant in Millsboro, Delaware, is only operating 20% of the time compared to an average of 55% for coal fired plants nationally. The tax was designed to reduce emissions but all it has really done is shifted the emissions out of state, and discouraged power plant construction locally. The revenue was supposed to be used for energy efficiency and renewable energy projects, but after a decade of work only a quarter of annual tax revenue is being spent on such projects. Ending the tax would lower electricity prices and would allow more power to be generated locally. In Delaware we only need to build the equivalent of three to four new power plants to become self-sufficient. Calpine recently completed a new natural gas fired power unit in Dover and has the permits needed for a second unit. What incentive does Calpine need to build the second unit? Exelon recently acquired Delmarva Power, the state’s largest electric distribution company, and is one of the largest generation companies in the nation. A decade ago distribution companies owned all the generation facilities as well with a guaranteed rate of return regulated by the Public Service Commission. Delaware and Maryland joined a handful of other states in deregulating the price of generated power thinking this would increase competition and lower electric cost. The actual result was the sale of generating facilities and a 70% increase in electric rates in the deregulated states. Partial reregulation might encourage distribution companies to build at least some new generation capacity. Exelon is one of the largest builders of large scale solar farms in the country. A little known fact is utility scale solar is now essentially competitive with conventional power plants during high demand daylight hours. Delaware policy has emphasized building smaller scale systems that actually add cost to our electric bills. Yes, in this case bigger is better and a policy change is needed. Land acquisition is a barrier to building more solar. The state could offer marginal state owned open space land for long term lease for solar farms to lower start-up costs. The revenue could be used for state park operations. No doubt a dialogue to boost local power generation would uncover more opportunities. The result would not only avoid the added cost of the Artificial Island project but might lower existing electric rates by as much as 15% removing a barrier to job creation, and could lead to up to a billion dollars in new construction projects. Can You Live on $2 a Day? “By one dismal measure, America is joining the likes of Third World countries. Despite questionable statistics from the U.S. Department of Labor, most Americans do not believe the recovering economy has really boosted their well-being. True, there are more jobs now than in 2009 at the bottom of the recession. However, many of these jobs, as CRI has said here and here and, oh what the heck, just read here, are not the kinds of blue-collar jobs which were lost during the Great Recession. By this we mean jobs which paid at the absolute minimum, $35,000 and helped families earn at least a basic standard of living, even on just one income. The jobs we are seeing growth in are jobs in sectors like retail, restaurant, and tourism, which are generally minimum wage jobs. The exact numbers receive EBT benefits (also known as ‘food stamps’), TANF (Temporary Assistance for Needy Families), Affordable Housing, student loans, etc., varies from month to month. But one thing that has absolutely happened is, more and more Americans are becoming poor, increasing numbers of working and middle class Americans are finding themselves sliding downward and not up, and the future looks bleak, because our deficit is so large there is no real way to ever pay most of it off. That’s why in poll after poll, the majority of Americans believe the so-called “Millennial Generation” will be the first generation to be worse off than their parents. It should surprise no one that presidential candidates like Donald Trump and Bernie Sanders are stealing the show. The rhetoric each espouses, while different in ideology, basically says the same thing: the ruling class (Berni’s ‘billionaire class’ and Donald’s ‘political class’) has changed America from a free-market oriented society to one that is a combination of socialism and crony capitalism, the exact same system countries such as Canada, Sweden, Germany, France, the UK, Belgium, the Netherlands, Italy, Spain, and Portugal have. The days when a person could confidently and reasonably believe s/he could work hard, save money, invest wisely, and earn a higher standard of living are fading. Yes, there are indeed people who do overcome the odds and become millionaires or billionaires, even from humble beginnings. But for those who lack some superstar athletic, musical, or coding talent, those opportunities seem more and more distant as the majority of Americans work harder and harder for less value per hour. The question of who to blame for this economic malaise floats around. People who identify as conservatives or libertarians generally put the blame on the government, believing government policies aimed at keeping people dependent on government, discouraging work opportunities for the poor (this post from ZeroHedge explains it, and mind their language), and federal reserve dollars being pumped into the system causing inflation are the main source. Throw in Statist politicians from both parties taxing and spending and pushing a tax code which actually harms people trying to acquire wealth through work rather than the already-rich and people whose income comes from the stock market, and there’s your answer. People who identify as liberal or socialist will put the blame on Big Business. According to the Brookings Institute, the average age of a business in America is sixteen years- the highest it’s ever been. Despite claims of “new entrepreneurial activity” by our elected officials, fewer people are attempting startups. The biggest reason, besides bureaucratic red tape and high taxes? Business cronyism, where large firms use the government to rig policies in their favor and against their competitors, especially small competitors. As access to capital for small business owners, especially young people and people of color, declines, you will see fewer people taking risks to create jobs. That leaves us more dependent on corporatism for our daily bread. In our view, both the left and the right make fair points, which then brings us to the next step: the solution. In our view, only a truly fair marketplace, where a person reasonably believes he or she can compete either for a job or in business, will help people climb the economic ladder. The reason Trump and Sanders are hitting cords with a segment of the population is because (and the political pundits miss this, for the most part) the majority of Americans, whose household income is less than $55,000 a year, are becoming frustrated and resentful that opportunities are being taken away and incomes are declining due to government policies which discourage work and entrepreneurship, and corporate entities who raid the treasury for their own gain, depriving would-be entrepreneurs and workers of the funds they need to either start a business, take care of their families, or save for retirement. The economic mobility ladder is slowly but surely being lifted up by those who already “made it” and are using the government to keep everyone else away, or dependent on the government administrators for their basic needs. We hope the public at large begins putting the pieces together and starts to vote for candidates who will oppose the so-called Ruling Class and their wealthy financiers, and instead turns to candidates with quality solutions that will give people opportunity and real hope. That is change we could believe in. CRI will continue to conduct research on policies which we believe best help all Delawareans achieve what they can and believe they can move up the economic mobility ladder. If you agree that Delaware needs a real change in how our government does business, then visit caesarrodney.org and learn about what you can do today to help. There are many things we’ve been critical of in regards to our state government, but here’s one area where the state earned high regards from one of our associates. The Heartland Institute published their 2015 Welfare Reform Report Card which shows a serious effort by the state to control need-based-aid, often referred to as “welfare”, and to get people who are able to work into jobs and not let them sit around collecting a check while they smoke Newport 100s while their left-wing Statist advocates claim we need to spend more “to help the poor”. There is no shame in providing a safety net for emergencies, such as homelessness, immediate unemployment, physical or mental disability (which prevents work or basic living functions), and hunger. However, Statists from both major parties, but one in particular, have built a large web of government agencies which employ tens of thousands of public employees whose salaries and benefits drain the Treasury, and whose agencies continuously provide healthy individuals with a basic lifestyle that traps too many healthy, able-bodied people in a cycle of dependence, basically unable to get off the program to take care of themselves. They are then pressured to keep voting for those who redistribute the wealth, because those elected officials come into poor communities bearing horror stories of people dying in the streets, babies and pets going hungry, just before the world ends, if they vote for a candidate who wants to curb the perpetual welfare state. Have you noticed just how many able-bodied people who begin to receive these benefits keep earning them forever, unless encouraged to go find a job? We at CRI believe human dignity and satisfaction best come from feeling a sense of worth to society as a whole, and being able to work a job which offers the ability to provide for oneself and one’s family, while also saving for future goals- a nice vacation, a house, a nice car, or whatever one desires and can earn through savings and interest. Even the argument over falling worker wages can be resolved using the principles of freedom- healthy market competition boosts worker’s wages by encouraging more hiring so there are more better-paying jobs than people, rather than what we have today, which is more people than better-paying jobs. The Heartland Institute gave Delaware an overall grade of A- for welfare reform, going back to 2009 when Governor Markell was sworn in. We are ranked the 8th best state for welfare reform, dropping five places from 2008, largely because Delaware has done little to change its welfare reform policies while other states have improved theirs. Delaware got top grades for work requirements and for “cash diversions” (policies allowing case workers to give applicants lump sum cash payments to meet short-term needs), a B for service integration (organizing state human services in a way that allows coordinated, holistic, “one-stop” delivery of services and connects these services to the local community and employers), and C’s for aid limits and sanctions on those who don’t meet comply with eligibility requirements. We spent $6,378 per recipient in 2013 (latest available data), and had just over 13,000 recipients of Temporary Assistance for Needy Families, which has declined 75% since 1996. 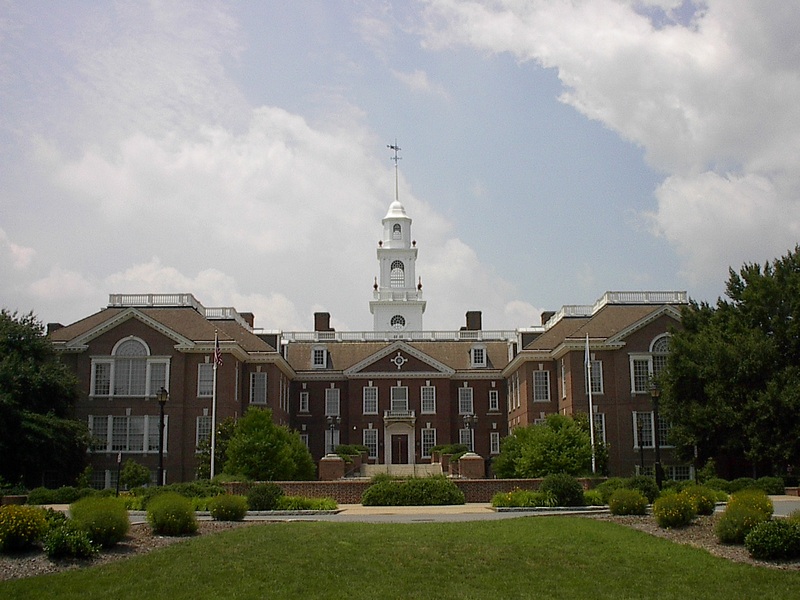 Where Delaware needs to improve is in anti-poverty measures. Close to 25% of Delawareans receive Medicaid, and sadly we have more children in poverty today than we had 20 years ago when the first set of welfare reforms was passed. Finding jobs for the unemployed poor has been an issue for Delaware, and Heartland ranked us 47th in finding jobs for those who are or were receiving TANF benefits. The only area where Delaware got strong ratings for anti-poverty was in having a low teen birthrate. Heartland recommended Delaware adopt tougher time limits and do more to enforce them, and other eligibility requirements. Overall, Delaware has done well in managing the welfare reform, in terms of having strong work requirements and helping people quickly and immediately, without losing control over monies disbursed. The state just needs to help people move off the bottom much faster than they are currently doing. The photo of President Clinton is in the Public Domain and was taken from Wikipedia. Last week was the first week the state Legislature was in session, but they will soon adjourn for budget and finance hearings before getting back to lawmaking in mid-March. Five new representatives and one new senator took their oaths of office for the first time, but this Legislature looks almost identical to the last one: the Democrats control the governor’s mansion, the House of Representatives 25-16, down from 27-14 last year, and the Senate 12-9, down from 13-8. 1. Education Savings Accounts: Delaware has “school choice”-IF your idea of school choice is to allow a child to transfer from one public school district to another (provided that district has room).While that’s better than nothing, that’s not really school choice. CRI supported a bill last year called the “Parent Empowerment Education Savings Account Act” (PEESAA) which would have introduced Education Savings Accounts as an option for low-income and special-needs students who are the most likely to need additional services not being offered by the traditional public schools. This bill was tabled in the House Education Committee but we hope ESA’s and other bills encouraging school choice are brought up this year. 2. Prevailing Wage (PW): Delaware has an insanely wide range of wages a that business who wants a public construction contract has to pay its employees to get the contract. Every January the state Department of Labor mails out its PW survey to union-friendly contractors and conveniently “forgets” to remind non-union-friendly construction companies to ask for, and return, the survey. This results in wage variance like $14.51 per hour for a bricklayer in Sussex County, but $48.08 per hour for the same job in Kent and New Castle Counties. Not to be outdone, boilermakers get $71.87 an hour in New Castle County, but “only” $30.73 in Kent County. These high rates prevent many construction projects from being started and make those which are done more expensive for taxpayers. If the PW won’t be eliminated, we hope the state will instead use the U.S. Occupational Employment Statistics survey. This would reduce rates by almost 40 percent on average and free up nearly $63 million of spending from the State’s FY15 capital budget, including almost $18 million for more school capital improvements. 3. Make Delaware the next right-to-work state: Delaware is not a right-to-work (RTW) state and, between that and our inconsistent-as-applied PW law, many businesses outside the state choose not to move here. Incorporating and buying office space in Wilmington for some high-paying executive jobs is one thing. But Moody’s Analytics in late 2013 said Delaware was the only state at immediate risk of falling back into a recession and a lot of this is due to more businesses closing than opening in Delaware. Pass legislation to end forced unionization and support pro-job growth policies instead. 4. Tax and regulatory reform: Only five states have a Gross Receipts Tax, which is a tax on revenue generated before profit and loss is factored in. Three of those states have no further taxes on corporate earnings and the only other state (Virginia) that does has lower tax rates. Between this tax, high personal and corporate income taxes, franchise taxes, and overall over-regulation by state agencies, Delaware is increasingly threatening its “Incorporation Golden Goose” as Nevada and North Dakota work to take business from the state. This needs to be addressed. 5. Work to lower energy prices: Delaware has electric rates 25 percent higher than the states we compete with for jobs like nearby Virginia. We import close to one-third of our electricity from out of state, the highest rate in the nation. Some of this is due to our geography, but a lot of it is due to the state’s failure to build a network of natural gas pipelines from the Marcellus Shale to Delaware. Coupled with the state’s participation in the Regional Greenhouse Gas Initiative (RGGI) carbon tax scheme and taxpayer subsidizing of “green” companies like Bluewater Wind (gone), Fisker Automotive (didn’t build cars in Delaware), and Bloom Energy (still has not brought the promised 900 high-paying full-time jobs), Delaware cannot grow its economy if energy prices are high. We want the Legislature to pass natural gas pipeline extension and end participation in RGGI and subsidies for “green” companies. What issues do you think the state Legislature should focus on this year?